Playing by the book is giving golf a bad name. As we end another Tour season, I can't help but reflect on the year that was. Growing the game was a big buzz phrase in 2016. Unfortunately, a number of things are impeding golf's development, in my view. By far the most troublesome issue? How our strict, obssessive adherence to arcane rules is hurting the game's future. Arguing over what to do when a ball moves a fraction of a millimeter makes us look silly. It's created a negative perception that hardly welcomes potential converts—people our sport sorely needs. Lately, I've likened the game to that scary house you never went near as a kid because the owners were so mean. So here are some suggestions, both for the makers of rules and everyday players like you who just want to better enjoy their rounds. First, we need separate rules for recreational and competitive play. 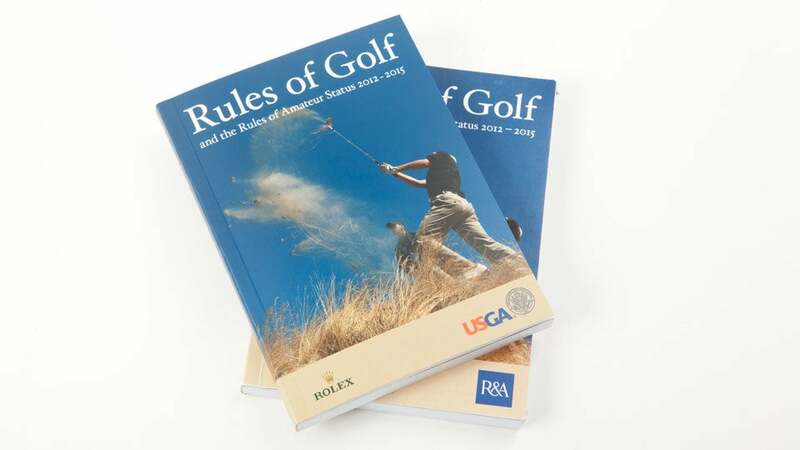 The USGA and R&A should create a different standard—one for beginners and social golfers, the other for competitive players. This way, beginners and higher-handicappers won't feel looked down upon for not abiding by the "real" rules. Speaking of beginners, they shouldn't have to worry about following the letter of the law—they just want to get the ball airborne. Next, they want to find their ball. And then they're looking to improve their scores. To that end, I think rank beginners should be allowed to tee it up in the fairway! Why not? Help them hit some good, soaring shots that excite and encourage them to come back for more. As for the typical bogey golfer, let them improve their lie within six inches anywhere on the course. And we should revoke the anchoring ban for social golf. (Putting is hard enough.) Finally, if a ball is lost or goes O.B., drop one as near as you can to where it left the field of play, take a one-shot penalty and carry on. There's no need for stroke-and-distance penalties. I have a suggestion for more advanced weekend players. Play the forward tees until you can break 80, then go back one set of tees. Hey, golf is supposed to be fun—don't let your ego ruin your day. The problem isn't courses that are too long. It's that you're playing them too long. Also, remember that all you need for a great day on the course are your clubs, some balls and a positive attitude. Don't worry about new-wave diagnostic tools: force plates, video cameras, and the like. And if you want to work out, buy the latest equipment and take lessons, I'm all for it—but you can still enjoy golf without those things. Let's get back to basics and stop scaring people into thinking they have to invest all their money and time to become a "real" golfer. That's when we'll really be able to start growing this great game.